Duck Quiz | Elements Interactive — We build applications! Duck Quiz is the funnest quiz of the Netherlands and Duckburg and its surroundings! 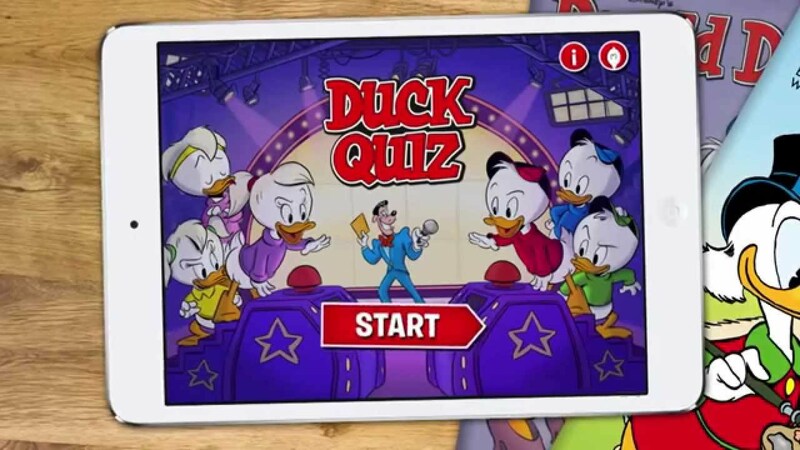 Kids can play the knowledge quiz alone or together with friends their and find out how how much they know about Duckburg and the world around them. The quiz consists of different game rounds about different subjects. Players can choose the Duckburg character to represent them and the difficulty level. The player who has earned the most points after all game rounds is the Duck Quiz champion! Elements worked with Sanoma to expand the features of the iPad app built with Corona and improve the Python/Django backend.